Observation - Coot and a flying black headed gull - UK and Ireland. Description: In foreground, a coot on land and one black headed gull hovering above. 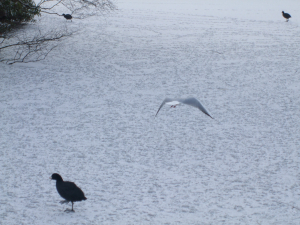 In foreground, a coot on land and one black headed gull hovering above.